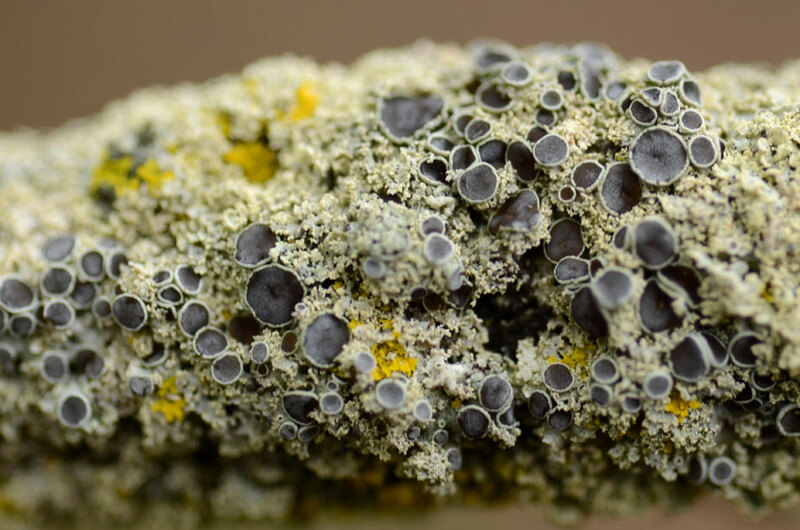 What the day looked like, close-up – with the exception of the black mushrooms, but they seemed to fit – Many of the lichens are in fruit and gorgeously coloured and textured, and the snow has melted away, for now. They are cool looking mushrooms – I should find out what they are! Thank you, Cynthia. I agree very magical and out of this world. Beautiful pictures. Thank you, Anne. That’s very nice of you to say! Wow, it is amazing what your are seeing and finding. 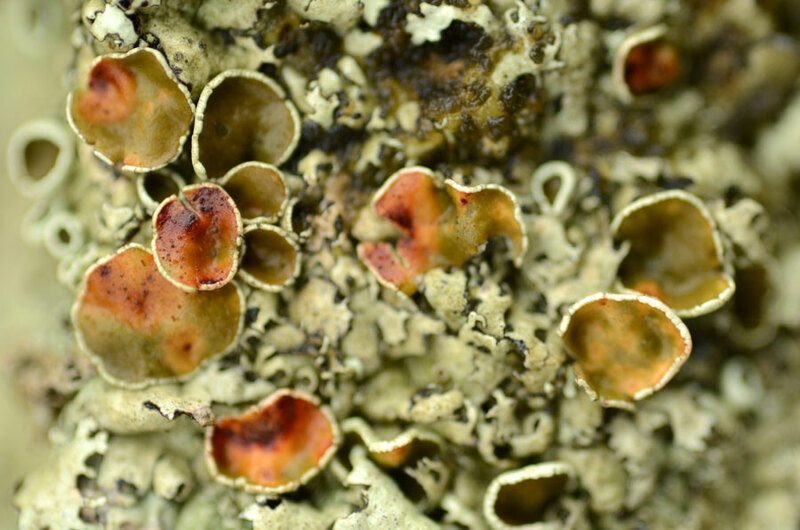 Color of Lichens are so beautiful. 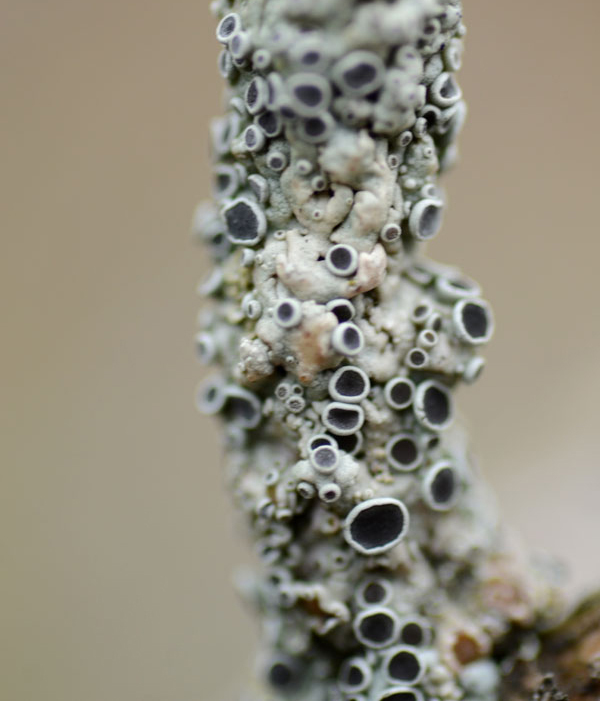 Reminding me of coral – I love this. You are reminding me it’s lunchtime, and making me hungry for an omelette. 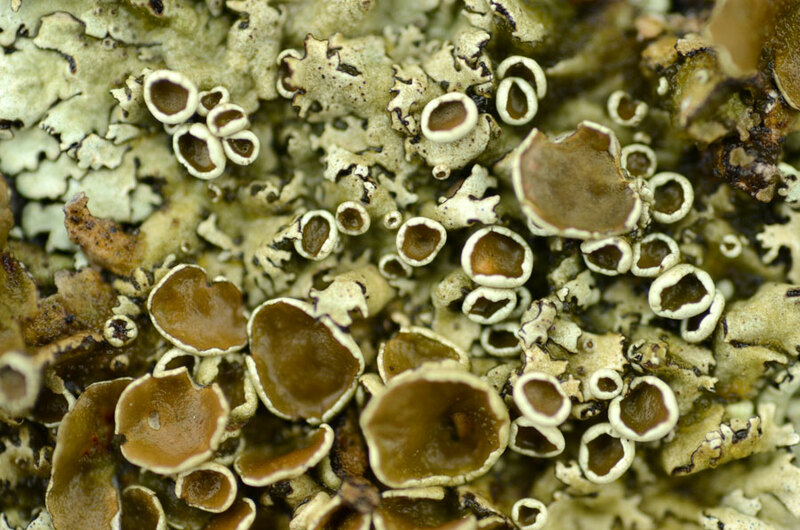 Such pretty colours and so mushroomy. Time to raid the fridge. I mean 🙂 beautiful photos too! The colors and textures, never mind the not quite round shapes are just plain wonderful! a magical look into the small worlds! Not quite winter, indeed; here it’s 60 degrees F and raining. Something is not quite right. Fascinating world you’ve captured here, Karen. One we rarely see! You have the power to gather what siemple of nature and turn it into art…. 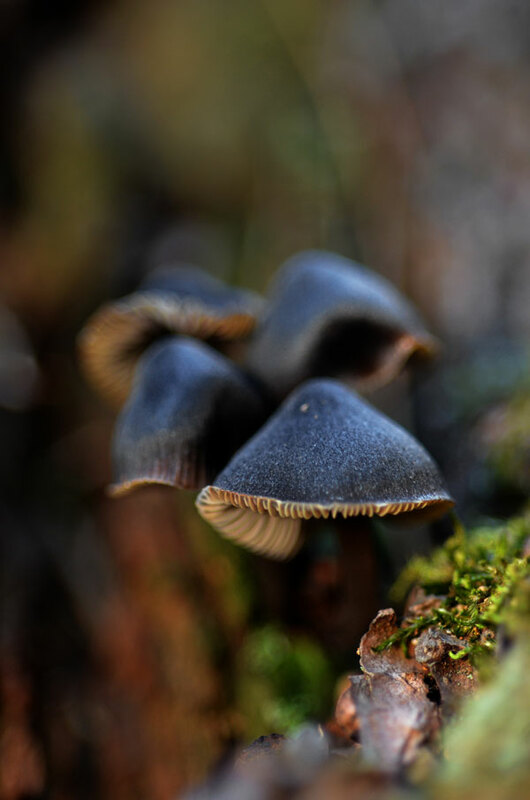 I’m so glad you included the black mushrooms Karen, it’s a superb picture as are your pictures of the lichen and the fly, beautiful. Wow…a whole other world…great shots. Such a beautiful photos… congrats !!! Yes, it is another season all together: YOURS! Almost good enough to eat…. 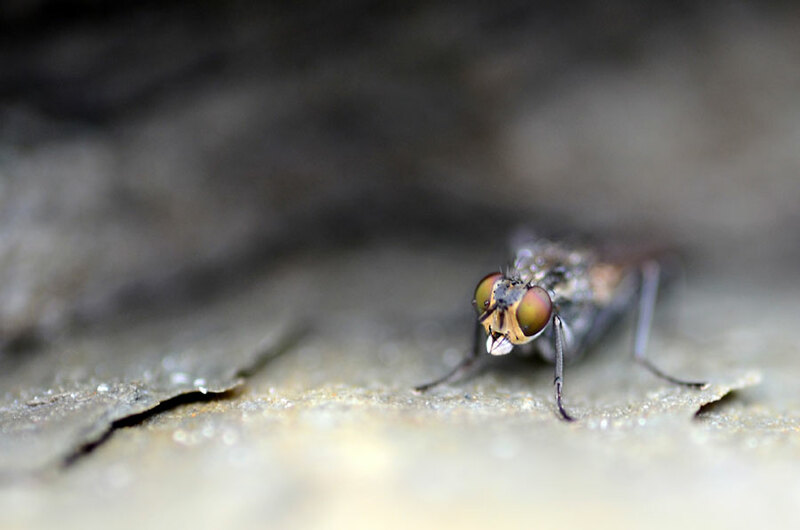 well not the fly obviously! Wow, visual be-bop! Love the tension between repetition and variation. Great sequence, Karen. Dang, I love these Karen! 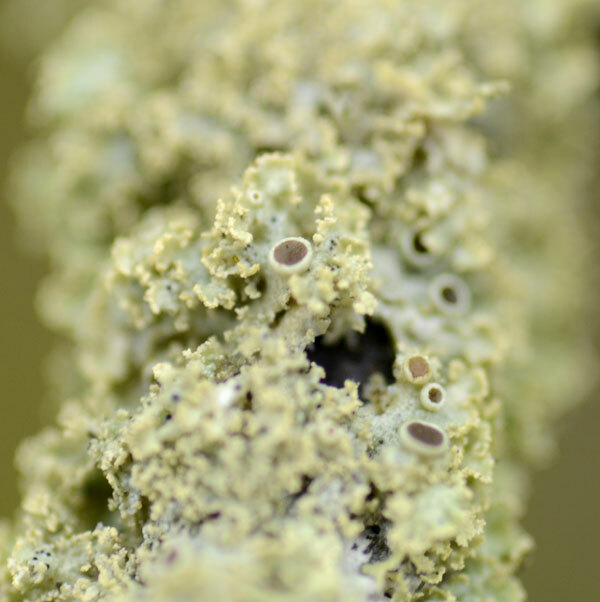 Its great to see lichens from the other side of the world – particularly through the macro. Those tones and textures are just sumptuous and has me wishing it was autumn here in Australia. Fantastic bunch of images. 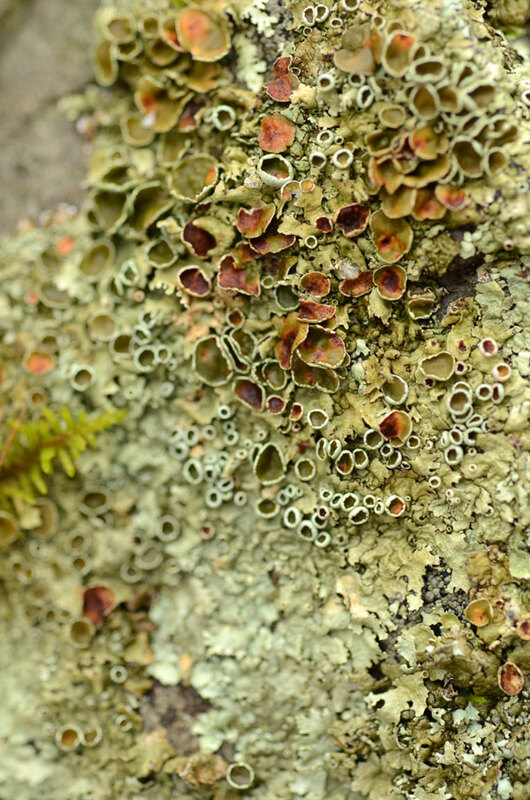 Lichen is so fascinatimg and these are particularly pleasing to my eye. You are an excellent photographer, Karen. Fantastische Makroaufnahmen über Flechten und Pilzen. Gefällt mir.